The low carb diet has always been one that has worked really well for me. After having Bridget, I followed the Suzanne Somers diet and lost all my pregnancy weight within the first 8 months. In February, I decided to do it again to get rid of the extra pounds that seemed to creep up on me as I entered my mid-30s. To date, I’ve lost over 30 lbs and 60+ inches so it does really work! What I like about this diet is that I don’t feel like I’m depriving myself of foods I love to eat. For instance, I can still enjoy bacon and eggs for breakfast, but I have to skip the toast. I can have my beloved Tim Hortons coffee with cream (just no sugar which I don’t like anyways). Going out to eat can sometimes be challenging, but I can usually find one or two menu options that will fit my lifestyle. 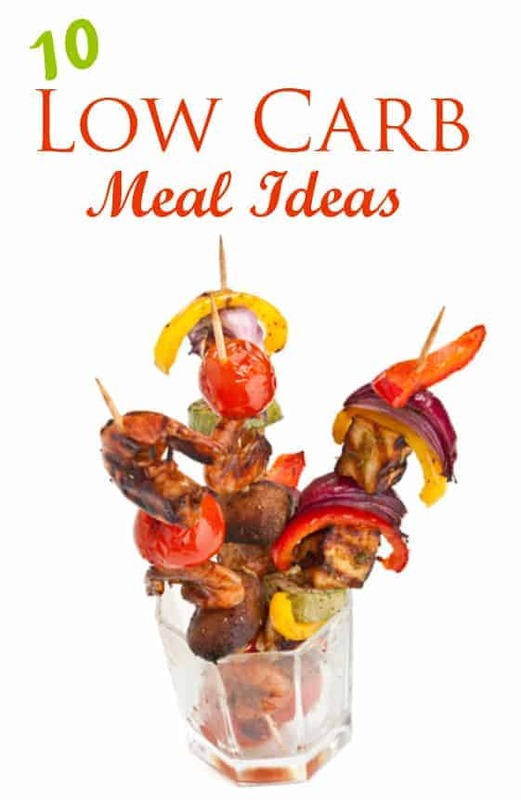 Here’s a list of 10 of my personal favourite low carb recipe ideas! 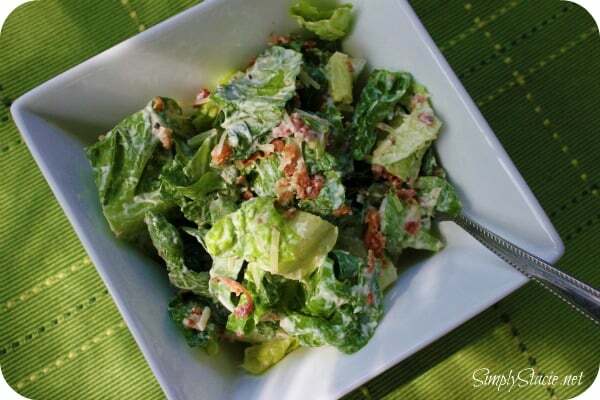 Caesar Salad makes a great meal or as a side dish. I often it as the main course (minus the croutons!!!) and sometimes I’ll put some sliced chicken breasts on it for some extra protein. For dressing, the only kind I use is Renee’s because it has no added sugar. If you read the labels on salad dressings, you will find that most of them have sugar as one of the top ingredients. Renee’s is found in the produce section and are quality dressings! I won’t lie. I really miss eating pasta. However, I’ve found an alternative that allows me to enjoy my favourite sauces guilt free. I got this idea from a Suzanne Somers book I read years ago. She suggested using zucchini as your noodles in your favourite pasta dishes. All you do is peel a zucchini with a carrot shredder so you get long thin strips. These are your “noodles”. Then saute them in butter on the stove and top with your favourite sauce. I’ve tried them with Alfredo sauce (to die for!) as well as with traditional tomato sauces. I usually end up making regular pasta for the rest of the house and I’ll be the only one who eats the “noodles”. More for me! I make these all year round in the oven. Our barbecue is on it’s last legs so it’s not really an option. That’s ok though because these turn out amazing baked in the oven. I usually use mushrooms, peppers, onions and either beef or scallops. Since most barbecue sauces contain sugar which I’m trying to avoid, I usually brush a little bit of Renee’s Italian dressing on them. Bake them in the oven for about 30 to 40 minutes and you have a delicious meal! 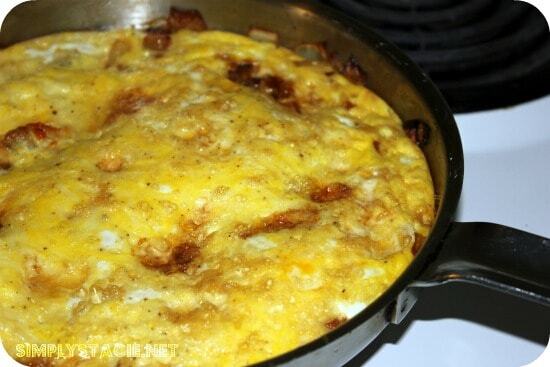 I had never even made fritatta until earlier this year when I was looking on Pinterest for low carb meal options. Now I make it at least once a week. I love trying out different ingredients together to see what goes well and what doesn’t. Two of my personal favourites are Pancetta & Onion Fritatta and Carmelized Onion, Red Pepper & Zucchini Frittata. I missed eating clam chowder so I decided to try what it would be like without the potatoes. It still had the same amazing taste and honestly I didn’t miss the potatoes. 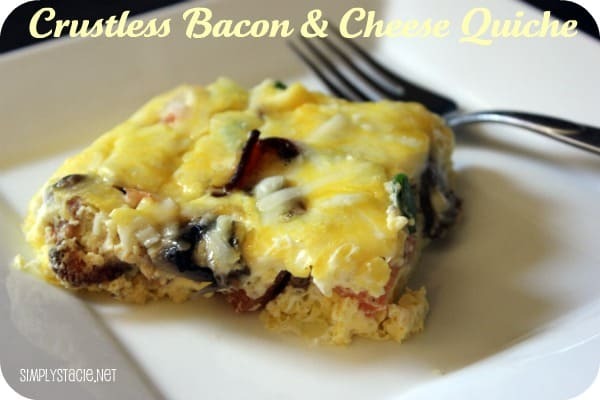 Seriously the best quiche ever! The sour cream adds a creamy texture and I savour every last morsel. This quiche doesn’t make me feel at all like I’m on a diet. 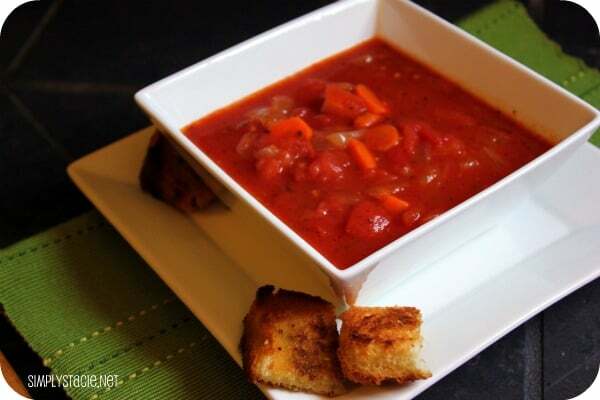 This is a basic tomato based soup full of veggies and Italian herbs. Omit the sage croutons to make it low carb. I serve it with a dollop of Greek yogourt. It’s so simple yet tasty! 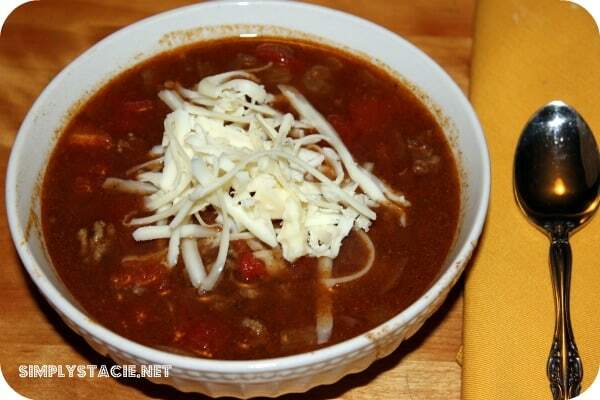 I find this soup very filling with wonderful spicy flavour. It’s divine garnished with some sour cream and you won’t even miss the “tacos”. 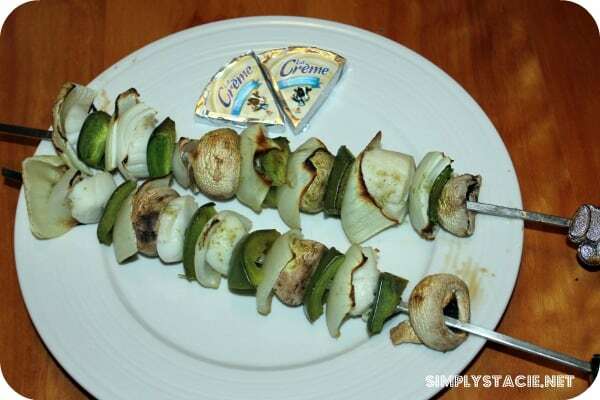 These were really cool to both make and eat! 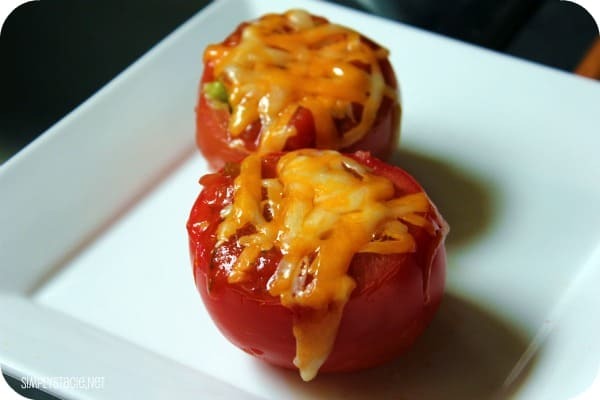 It’s basically the inside of a tomato hollowed out and then stuffed with guacamole and finished off with melted cheese. 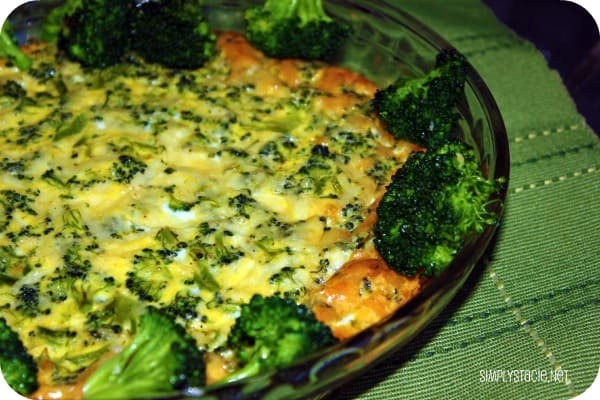 This is basically just a funny name for broccoli quiche (with no crust). It’s healthy and delicious and something even my kids will eat! These are all awesome and i plan to add them to my menu this month..thanks for sharing them!!!!! oh these look delicious! I love Cesare Salads…..
Lots of yummy looking food, that frittata looks amazing. Thanks for sharing these wonderful low carb recipes. It has inspired me :).